Look at what our guests are saying about us. 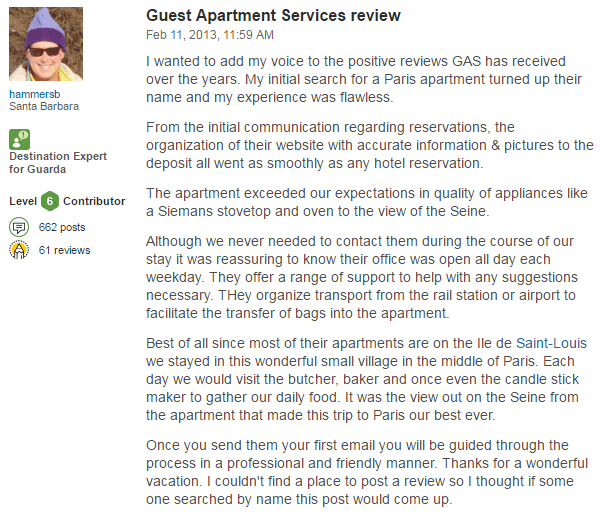 Tripadvisor and independent reviews of Guest Apartment Services Paris. 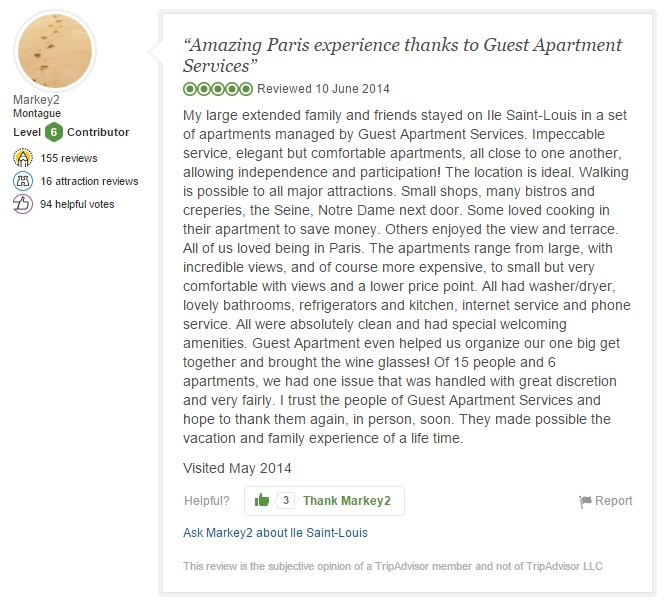 We are proud to share Tripadvisor reviews for our Luxury short term apartments in Paris. Read reviews posted by our guests who experienced our properties & services, from first enquiry to checkout. You can also read reviews posted directly to us by guests on our individual apartment pages. 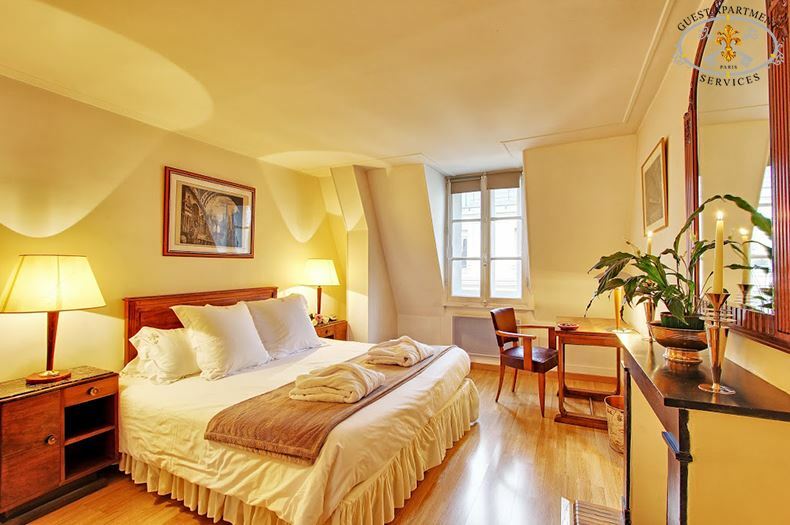 We look forward to welcoming you in Paris for your next vacation stay. "The apartment exceeded our expectations" – "Professional and friendly manner." 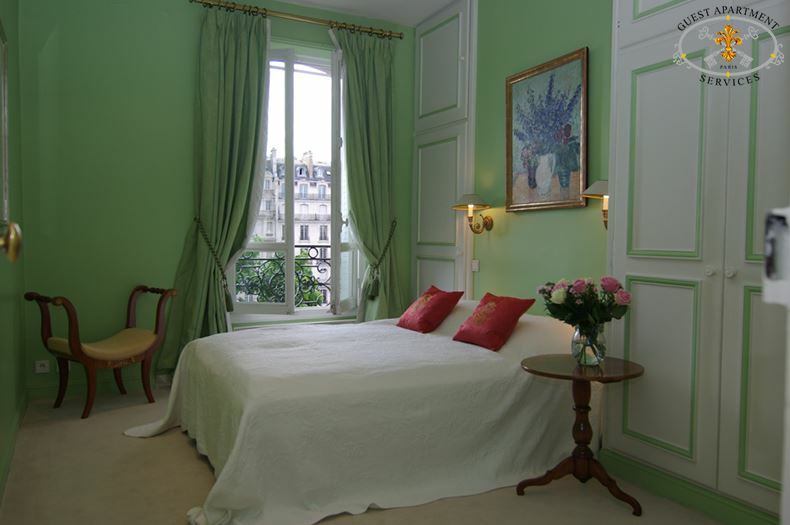 “Amazing Paris experience thanks to Guest Apartment Services” – "Experience of a life time"
"They are profesional" – "Most of people who stay in one of their apartments are repeat clients"
"Philippe & Christophe are wonderful" – "The experience has been flawless"
" The flat was just as described and just as one sees on the Clematis website. It was beautiful and elegant inside. The living room was spacious and very comfortable to spend time sitting in. The views of the river, with all its activity were wonderful. And it seemed there was always something happening on the bridge which made you want to get out there. But it was peaceful,and quiet. The bathroom was wonderful, and the bedroom had more than enough storage and a lot of hangers. This is unusual. The bed was very comfortable. The tiny kitchen was amazing, it had everything you could want. We were very very happy here. On our fourth day they started putting up scaffolding for refacing the building. We emailed to say what was happening and within 3 hours we were completely moved to another lovely flat. The kindness of the team at Guest Apartment Services was genuine and wonderful. We would and will use them again in a heartbeat when we return. John and Millie – Vancouver "
" We had been at Clematis but because of work being done on the outside of the building guest apartment services, moved us to Arum. They were so well organized they knew in advance this might be happening and had kept a flat for us in case it did. Now that is service. Within three hours of scaffolding starting to go up we were settled in our new flat. All done by guest apartment services. This time we were looking at Ile St Louis and Le Tour D'Argent and people dining. That was fun. The flat is just as it is shown in the pictures and just as described. It is quite large. The bathroom is amazing and the heated towel rack wonderful. 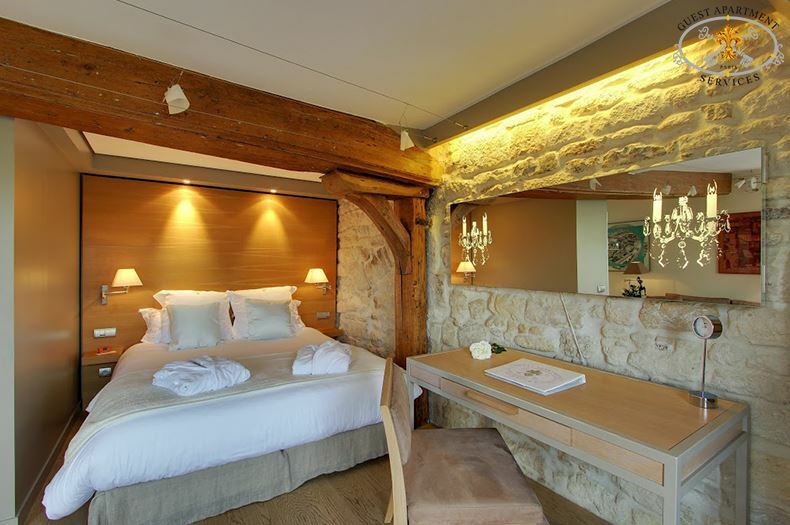 The bed, a king, unusual in France I think, was very comfortable. The second bedroom is nicely done. We didn't use it. Lots of storage and hanging space. The LR very comfy. The views of the river and the island quite wonderful. It is noisier than Ile St. Louis. but the windows are double glazed so when closed there is no noise. The stairs are very elegant and the elevator small and good. We walked down and used the lift going up! There is a wonderful restaurant which they told us about, right next door. Chez Remy. We went three times. The staff and the food, it was JUST our sort of restaurant. Going anywhere from here is easy. Just being there is good for the soul.
" My wife, grand-daughter and I are back in Canada after a wonderful week in Paris. 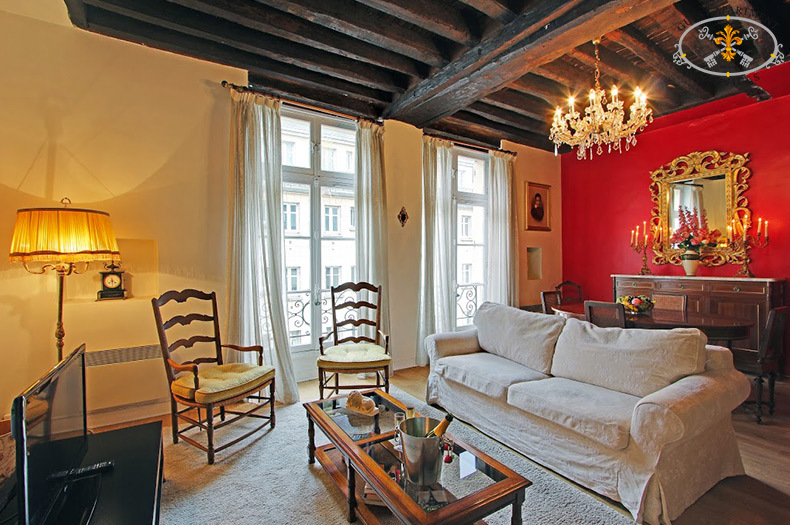 Our visit was enhanced by our enjoyment of the apartment on Ile Saint Louis we rented through your agency. 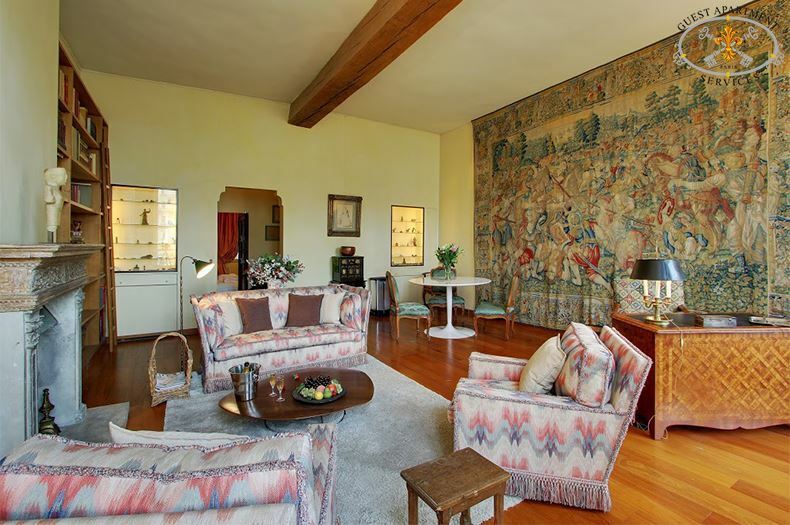 It was ideal in terms of its comfort, graciousness and location. I want to especially thank Liliane for her recommendation and assistance in obtaining tickets for the Vivaldi concert in Ste Chappelle. It was an enchanting evening. We will happily recommend Guest Apartment Services to any friends contemplating a visit to Paris in the future.